From humble beginnings, to becoming The Dutch Number One Champion Sound. Herbalize It was born in East-Holland in the city of Enschede (En-ska-day). It all started after Stef visited the Reggae/Dancehall epi-center, Jamaica-Jamaica back in 1995 and tasted the true essence of this musical culture, which we have grown to love so much. He returned to Holland with a head full of ideas and a burning desire to get Herbalize It up and running. Sultan, a long time friend and a local DJ on the scene in En-ska-day at the time, joined the sound in 1998, bringing his charismatic, never give up, take no prisoners mentality to the Sound. This was the start of Herbalize It assault on the European Reggae/Dancehall scene. A typical Herbalize It set is ram packed with energy, excitement and of course the element of surprise. No two sets would ever be the same because nothing is planned in this Sound. A combination of reggae and dancehall with a few surprises in the mix are the key ingredients in a Herbalize It cook up. 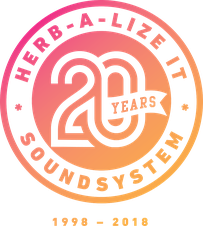 Herbalize It has shared the spotlight with many other big international sounds, graced the stage at many well-known reggae concerts and performed alongside just about all of the bigger reggae/dancehall artists all over World. 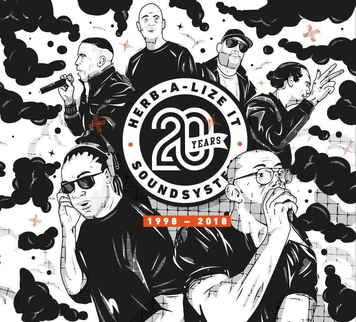 Herbalize It is now known and respected not only as a Big Sound System with a seriously sick dub-box, but also the sound who host the biggest soundclash from Europe. War Ina East Soundclash is a yearly clash organized by Herbalize It, which brings together the wickedest Soundsytems to do battle on the European soil. The future looks bright for Herbalize It, the Sound that would definitely keep on making their own destiny and pushing the envelope of creativity within this addictive Reggae/Dancehall world to higher and higher heights.